Hanoi (VNA) – Vietnam is a popular investment destination for French businesses, according to Vincent Florean, French Consul General in Ho Chi Minh City. French enterprises have special interest in Vietnam, he told reporters from Thoi Bao Kinh te Viet Nam (Vietnam Economic Times) on the sidelines of a wine tasting programme in Vietnam on April 5. He said a record number of 27 French wine production firms participated in the event held by the French investment and trade promotion agency. The French government and businesses need to work more to tap markets with high potential like Vietnam, he said. 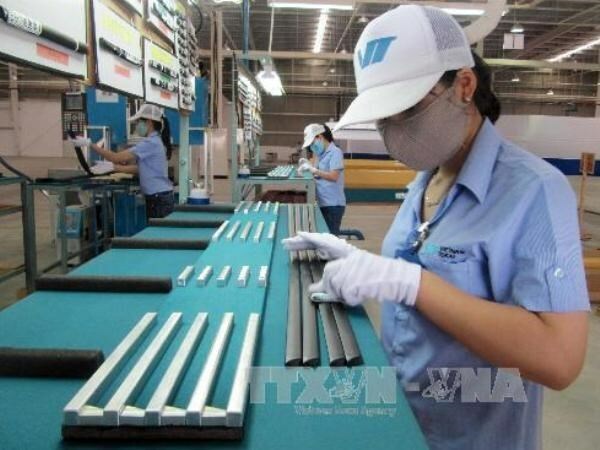 He added that the French aviation, pharmaceutical and agriculture industries make up 30 percent, 17 percent, and 14 percent respectively of the country’s total export turnover to Vietnam. France hopes the EU-Vietnam Free Trade Agreement (EVFTA) will be ratified and come into force soon, which will create new momentum for bilateral trade relations, he said. At present, France is the second biggest foreign investor of Vietnam among European countries and the 15th largest investor of Vietnam among countries and territories investing in the Southeast Asian country. So far, France’s total investment in Vietnam has been estimated at about 3.7 billion USD, focusing on industry, infrastructure, food and electronic equipment, he added.